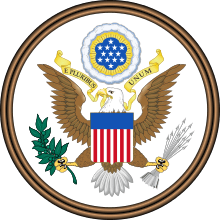 The Comprehensive Drug Abuse Prevention and Control Act of 1970, Pub. L. No. 91-513, 84 Stat. 1236 (Oct. 27, 1970), is a United States federal law that, with subsequent modifications, requires the pharmaceutical industry to maintain physical security and strict record keeping for certain types of drugs. Controlled substances are divided into five schedules (or classes) on the basis of their potential for abuse, accepted medical use, and accepted safety under medical supervision. Substances in Schedule I have a high potential for abuse, no accredited medical use, and a lack of accepted safety. From Schedules II to V, substances decrease in potential for abuse. The schedule a substance is placed in determines how it must be controlled. 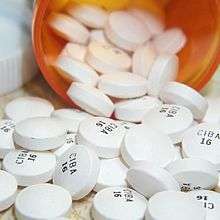 Prescriptions for drugs in all schedules must bear the physician's federal Drug Enforcement Administration (DEA) license number, but some drugs in Schedule V do not require a prescription. State schedules may vary from federal schedules. ↑ Electronic prescribing of controlled substances [electronic resource]: addressing health care and law enforcement priorities: hearing before the Committee on the Judiciary, United States Senate, One Hundred Tenth Congress, first session, December 4, 2007. United States Senate Committee on the Judiciary. 2008. ↑ Felicilda-Reynaldo,, Rhea Faye D (November–December 2014). "Recognizing Signs of Prescription Drug Abuse and Addiction, Part I". Medsurg Nursing. 23 (6): 391–96. ↑ Painter, J. Marcus (March–April 2015). "Real Property, Trust, and Estate Law: Rents, Refi's, and Reefer Madness". GP Solo. 32 (2). Peters, Gerhard; Woolley, John T. "Richard M. Nixon: "389 - Remarks on Signing the Comprehensive Drug Abuse Prevention and Control Act of 1970" October 27, 1970". The American Presidency Project. University of California - Santa Barbara. Retrieved 28 May 2013.